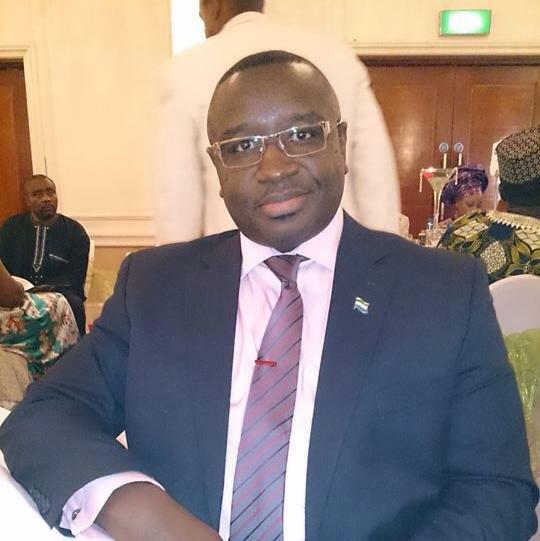 The former presidential election candidate of Sierra Leone’s main opposition party – the Sierra Leone Peoples’ Party (SLPP) – Julius Maada Bio (Photo), has today made a scathing attack on president Koroma’s record in office. Analysts say that this is the most powerful response yet, delivered by Maada Bio, in the face of deteriorating economic, social and political conditions in Sierra Leone, as the nation cries out for new leadership and a new direction. And as president Koroma prepares to attend the African Leaders’ Summit to be hosted by president Obama in Washington D.C in August, he has serious introspection to do. Many independent observers believe that Koroma needs to change policy direction, if he is to regain any of the ‘democratic credentials’ bestowed upon him by world leaders like Obama, which he has spent the last few years shedding for a more communist style leadership approach. 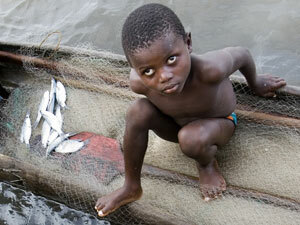 But Sierra Leone is a deeply liberal orientated and free market driven society. Hence, any move towards dictatorship and authoritarianism will not work and will be strongly resisted by the people. “Under current economic conditions afflicting and dehumanizing the vast majority of the poor, Sierra Leoneans are justified to feel extremely anxious about the direction the country is taking under your leadership. “Under your watch, the citizens have been reduced to suffering a life of excruciating poverty and are increasingly finding it difficult to eke a daily existence, whilst members of your government, members of your family and close associates continue to stumble upon untold affluence and unlimited resources. Contemporary records and proceedings of the Sierra Leone Parliament show that Parliament has elected a new speaker in the person of Hon. S.B.B Dumbuya. The eligibility criteria employed for that election is in consonance with the provisions of the amended section 79 (1) of the Sierra Leone Constitution 1991 (Act No. 6 as amended in 2013), which stipulates entirely new qualifications for the position of Speaker of Parliament. Before this amendment was tabled in Parliament, your Government had made public its intention to undertake a comprehensive review of the 1991 Constitution and accordingly had mandated an 80-strong National Constitutional Review Committee. This Committee had been inaugurated and had started its work. Whether or not constitutional amendments are necessary at this material time is another matter; however, the fact cannot be gainsaid that by its mere establishment the nation had become highly expectant. The Committee did not even last even six months before it got challenged and rendered unnecessary and redundant by the very Government that created it. For example, is it not pertinent to ask whether the Committee was consulted and whether it agreed to the truncation of its mandate? I am sure that many who agreed to serve on the Committee must have believed that the Committee was going to enjoy a measure of independence and to function immune from the untrammelled control of the Government. Evidently, none of these things are happening. Having proclaimed a mandate for the committee, suggesting it could freely and comprehensively undertake a thorough review of the constitution as a whole, why did the government find it necessary to subtract section 79 (1) from the Committee’s remit? Today it is section 79 (1); tomorrow it could be another section of the constitution that the government feels uncomfortable about. If the trend persists, there could be nothing left in the constitution to review. Even more baffling and debilitating is the apparent quiescence of the Committee in the face of such provocation and undermining of their individual and collective consciences. One cannot even preclude the possibility that the Government might feel unhappy about the recommendations of the Committee and decides to ignore its report. What then for the Committee and its members? I believe there is palpably intrinsic value in the Committee and its members determining even at this juncture whether it is not a waste of time to continue to invest their valuable time and resources in an enterprise that the Government could contemptuously decide is worthless, especially if it could not get from the Committee what it wants but could get it by using or misusing it formidable majority in Parliament? It has already begun to demonstrate this trait with the amendment of Section 79. This is all the more reason why, in my last radio interview on 98.1 FM, I admonished that your Government should endeavour to avoid unnecessary unilateral interference with the National Constitution, because such activity has the potential of undermining our democracy. My concerns were supported by the opinions of some of the best legal minds in the country. Despite these reservations, your Government did not hesitate to influence the vote in Parliament. Actions such as this seldom escape the suspicion that you pushed for the amendment of Section 79 (1) because you harbour some bigger agenda, which does not exclude your ambition for a Third Term in office, the realization of which is now only dependent upon installing and maintaining a pliant Legislature. Under current economic conditions afflicting and dehumanizing the vast majority of the poor, Sierra Leoneans are justified to feel extremely anxious about the direction the country is taking under your Leadership. Under your watch, the citizens have been reduced to suffering a life of excruciating poverty and are increasingly finding it difficult to eke a daily existence, whilst members of your Government, members of your family and close associates continue to stumble upon untold affluence and unlimited resources. Under your administration, law and order have virtually irretrievably broken down and lawlessness is reigning supreme; state institutions are stuck and are being steadily emasculated; and increasingly the citizenry get the feeling that all the gains of the post-conflict Sierra Leone are being systematically eroded. Moreover, under your administration, the separation of powers has taken a severe knock and is nowadays virtually an abstract concept as national institutions are being commandeered into the President’s agenda for “personal prosperity”. Not even the Judiciary is exempt. We have even of late witnessed politically motivated judicial decisions, annulling election results of the SLPP in the last General Elections and flagrantly awarding them to the APC losers. Similarly, independent voices in our country are being muzzled. For example, there have been the ugly spectacles of journalists being arrested and detained. This level of intolerance has become the trademark of a Government that is rapidly degenerating into a new dictatorship. Mr. President, I would be remiss if I fail to let you know that the policies of your Administration portend a wrong and dangerous direction for the country. The tragedy is that we have been there before under the APC Party. The only saving grace so far is that the people of Sierra Leone are determined not to allow the country to be turned into a failed state for the second time. I want to take this opportunity to appeal to all democratically-minded Sierra Leoneans to do everything under the law to challenge what is happening in the country. I would also want to draw the attention of our development partners to use all and any leverage at their disposal to save democracy once again in Sierra Leone. 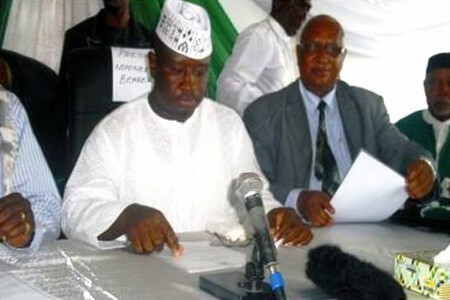 Perhaps, it bears reminding that they too have a stake in a stable and democratic Sierra Leone.